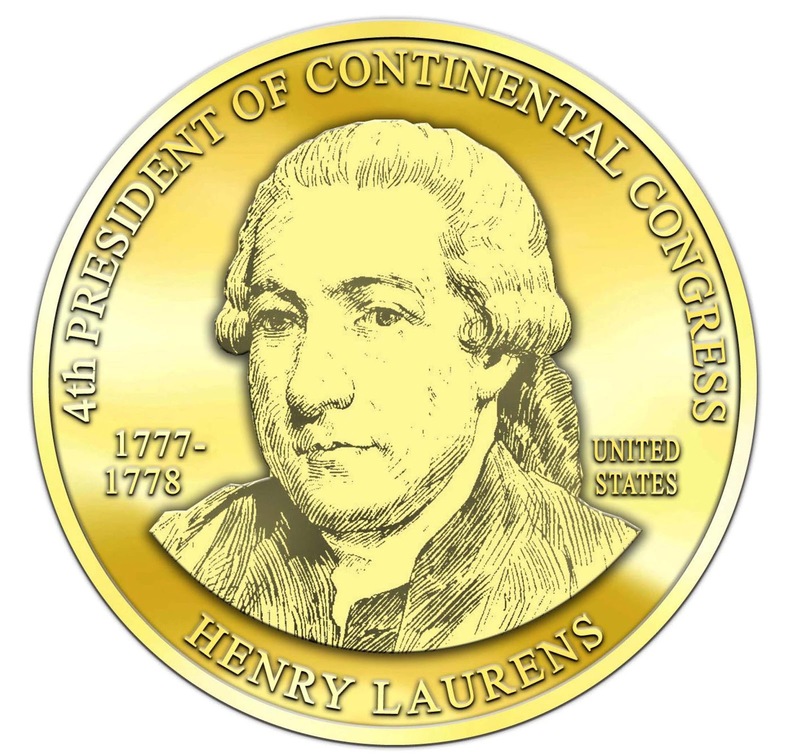 On November 1, 1777 the United States Continental Congress elected South Carolina Delegate Henry Laurens, President of Congress. He served in this capacity until his resignation on December 9th, 1778. Henry Laurens was born March 6, 1724 in Charleston, South Carolina and died there on December 8, 1792. His ancestors were French Protestants (Huguenots) who were members of the Reformed Church established in 1550 by John Calvin. They left France at the revocation of the edict of Nantes and migrated to the British American Colonies. Laurens, the son of John and Esther Grasset Laurens, was educated in Charles Town (now Charleston), South Carolina. Upon “graduation”, through the contacts of his affluent father, he accepted a position at a local counting-house. In 1744 Laurens accepted a similar position in London to further his career in the promising field of international business with James Crokatt. Upon his return in 1747 he opened an import and export business in Charleston. “The British traders based at Bunce Island shipped thousands of African captives to South Carolina, Georgia, Florida, and other Southern Colonies during the mid- and late 1700s. Rice planters in South Carolina and Georgia were particularly anxious to buy captives from Sierra Leone and other parts of the “Rice Coast” where Africans have grown rice for thousands of years. Slave auction advertisements in 18th century Charles Town (South Carolina) and Savannah (Georgia) often mentioned ships arriving with slaves brought from the “Rice Coast, “Sierra-Leon,” and "Bunce Island." African farmers taken from the Rice Coast region made rice one of the most profitable industries in early America. In 1750, Laurens was already wealthy enough to win the hand of Eleanor Ball, the daughter of a wealthy rice plantation owner. They were married on June 25th and had 12 children with only four surviving: John born October 28, 1754, Martha born November 3, 1759, Henry, Jr. born, July 23, 1763, and Mary Eleanor born April 26, 1770. Laurens learned, first hand, on how to wage a battle in the Colonial Wilderness. He took the time during that campaign to keep a diary which, exists in its original manuscript form at the South Carolina Archives. Throughout the rest of his life he would be referred to as “Colonel”, especially by his fellow delegates in the Continental Congress and United States in Congress Assembled. Benjamin Franklin and John Adams, particularly, reference this title often in their correspondence. As a businessman, Laurens was quite critical of British involvement in the Colonial economy. Laurens was a party to frequent lawsuits with crown judges and consequently, had an exceptional understanding of British Maritime law. Laurens became enmeshed, from 1767 to 1769, in controversy with Charleston custom officers over the confiscation of three family vessels. He engaged in pamphlet war with Egerton Leigh, Judge of the Charleston Vice Admiralty Court. The surviving pamphlets are considered, even today, as extraordinary legal accounts of Great Britain’s trade oppression of the Colonies. financial matters from Charleston dated October 10, 1765. The letter goes on to ask whether a Mr. Cowles, with whom he also has accounts, plans to remain in business. Shortly after the birth of daughter Mary Eleanor, tragedy struck the Laurens home, his wife Eleanor Ball died on May 22, 1770. Laurens remained close to home until 1771 when he sailed to England on September 9th with his sons. From 1772-1774 he toured England, France, the Low Countries and Switzerland. He placed his sons in Swiss and English boarding schools during that period. While in London he was one of the thirty-eight Americans who signed a petition in 1774 to dissuade parliament from passing the Boston Port Bill. Dismayed by the anti-colonial sentiment in Great Britain, Laurens returned to Charleston that same year. Three months later he was elected a member of South Carolina’s first Provincial Congress on January 9th, 1775. On June 1st, he was elected President of that body. He was also elected President to the important Council of Safety on June 16, 1775. 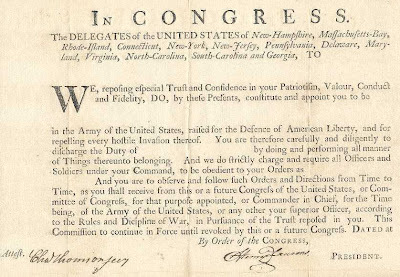 As President, Laurens drew up a Form of Association to be signed by all the Friends of Liberty. In another personal tragedy his son James died on September 5, 1775 but he continued in his political duties. As President of the South Carolina Council of Safety he was in constant contact with his counterparts in the other colonies as evidenced by this September 27, 1775 letter to William Henry Drayton, Esq: . On Sunday last we received your letter of the 17th, together with the sundry papers which you refer to; and if Captain Wilson is detained one day more, we will send by him the Declaration and Treaty, to be printed in London; but shall defer a publication here, until we have an opportunity of considering the propriety of such a measure in your presence; which, we suppose, will happen in the course of a few days. The intelligence from the Cherokees, received in Mr. Wilkinson’s letter, is very alarming. We hope you have sent away the Good Warriour and his fellow–travellers in good humour; and that they will influence their countrymen to remain quiet, and give us time to discover the perpetrators of the murder intimated by Mr. Wilkinson. In the mean time, we trust that you have taken proper measures for that purpose. Le Despencer packet arrived here from Falmouth, with advices from London, to the 3d of August. Accounts in brief are, that Administration were sending more troops and ships to America, determined to persevere in the execution of their plan. General Gage, in his account of the Bunker Hill affair, on the 17th June, transmitted to Lord Dartmouth, owns about one thousand and fifty–six of the King’s Troops killed and wounded; and his number of officers rather exceeds our early advices. We have heard nothing since the first of August from our Delegates. In 1776, Laurens retired from the merchant business to focus on agriculture and politics. He was elected as a member of the Second South Carolina Provincial Congress serving from November 1775 to March 1776. He also served as the president of the second council of safety. Laurens was profoundly involved in the adoption of a new South Carolina Constitution which, passed March 26, 1776. He was elected the first Vice President of South Carolina the same day serving in that capacity until June 27, 1777. “The Evening of that day I went as far as Frankfort in order to see into the arrangement of my baggage and to Shift my apparel Suitable to the change of weather & had engaged to breakfast with an old friend at 1/2 past 8 next Morning in Philadelphia. About 4 o'Clock next Morning I was knocked up by Sir Patrick Houston who informed me that advice had been received of General Howe's crossing Schuylkill at 11 o'Clock & that part of his Army would be in the City before Sunrise. I could feel no impression, I judged differently from the City people who I had always expected would fall a prey to their fears, I considered the difficulty of crossing a ford with an Army of 6 or 7 Thousand Men, Cannon, Horses, Wagons, Cattle &ca &ca, the right disposition of the whole & detaching a respectable force to a distance of 22 Miles. While my Carriage & Wagon were preparing to go forward the Scene was equally droll & melancholy. Thousands of all Sorts in all appearances past by in such haste that very few could be prevailed on to answer to the Simple question what News? however would not fly, I stayed Breakfast & did not proceed till 8 o'Clock or past nor would I have gone then but returned once more into the City if I had not been under an engagement to take charge of the Marquis de Lafayette who lay wounded by a ball through his Leg at Bristol. My bravery however was the effect of assurance for could I have believed the current report, I should have fled as fast as any man, no man can possibly have a greater reluctance to an intimacy with Sir William Howe than my Self. I proceeded to Bristol, the little Town was covered by fugitives, the River by Vessels of War & Store Vessels & others from Philadelphia, the Road choked by Carriages, Horses & Wagons. The Same was disgustingly Specked by Regimental Coats & Cockades, Volunteer blades I suppose who had blustered in that habit of the mighty feats they would perform if the English should dare to come to Philadelphia. Upon these I looked with deep contempt. From Bristol I had the honor of conducting the Marquis who is possessed of the most excellent funds [of] good sense & inexhaustible patience to Bethlehem where the Second day after our arrival I left him in Bed anxious for nothing but to be again in our Army as he always calls it, & proceeded through Reading to Lancaster, at Reading I learned of General Wayne's false step, a second hindrance to our driving the Invaders out of the Country. Laurens, as a freshman delegate, went right to work in York-Town (now York, Pennsylvania) impressing the members of Congress with his "nonpartisan" deliberations. His ideas especially stood out on the creation of the first constitution of the United States, the Articles of Confederation. Laurens remained steadfast against the nationalists' proposal to allow control of the proposed new federal government by the wealthy. He was also against Virginia's proposal to have one Delegate in Congress for every 30,000 of each state’s inhabitants, permitting each representative having one vote. 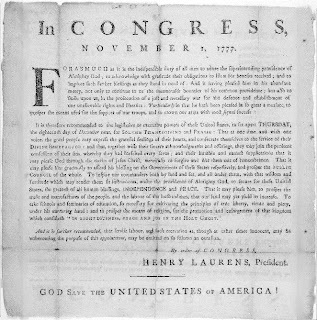 On the constitution Article that prohibited the federal government from making any foreign treaty preventing the individual States "from imposing such imposts and duties on foreigners as their own people are subject to," Laurens was the only Southern member to vote against the measure. 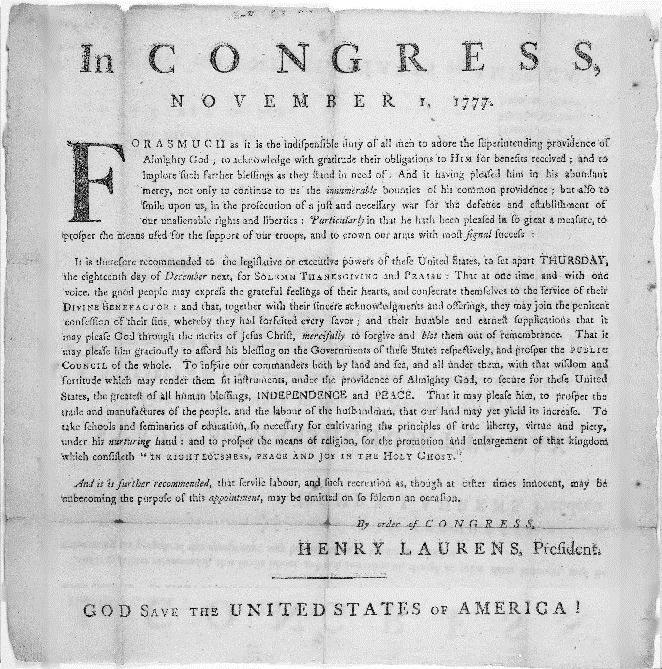 Only three other states, Rhode Island, New Hampshire, and Connecticut, voted with Laurens so the restrictive Amendment became a part of the first U.S. Constitution shackling the future United States, in Congress Assembled to properly control and conduct foreign affairs. In another measure, Laurens voted for the United States in Congress Assembled (USCA) to have the authority to decide disputes between the states but then voted no on the establishment of judiciary necessary for such matters to be employed. This failure to separate the judicial duties of government from the USCA legislative/executive federal body plagued the United States until the adoption of its 2nd constitution in 1789. Henry Laurens in a final constitutional act, voted against Virginia's last attempt to gain more power in the federal government based on population. Specifically, Virginia's amendment proposed that the nine votes required determining matters of importance in the U.S.A. must be from the states containing a majority of the white population in the USCA. The measured failed largely because of Laurens and the other smaller states objections. His votes, on a consistent basis, did not follow the “southern block” clearly indicating Laurens was free from sectional bias. Laurens stood out time and time again putting forth and supporting articles and ideas that attempted to forge 13 individual States into one unified nation. He envisioned and worked diligently to form a constitution that empowered a new central government to act for the benefit of all states equally. General Gates to the President of Congress. Sir: I have the satisfaction to present Your Excellency with the convention of Saratoga, by which His Excellency Lieutenant-General Burgoyne has surrendered himself and his whole army into my hands, and they are now upon their march for Boston. This signal and important event is the more glorious, as it was effected with so little loss to the army of the United States. This letter will be presented to Your Excellency by my adjutant-general, Colonel Wilkinson, to whom I must beg leave to refer Your Excellency for the particulars that brought this great business to so happy and fortunate a conclusion. I desire to be permitted to recommend this gallant officer in the warmest manner to Congress, and entreat that he may be continued in his present office, with the brevet of a brigadier-general. The honourable Congress will believe me when I assure them that, from the beginning of this war, I have not met with a more promising military genius than Colonel Wilkinson, and whose services have been of the greatest importance to this army. 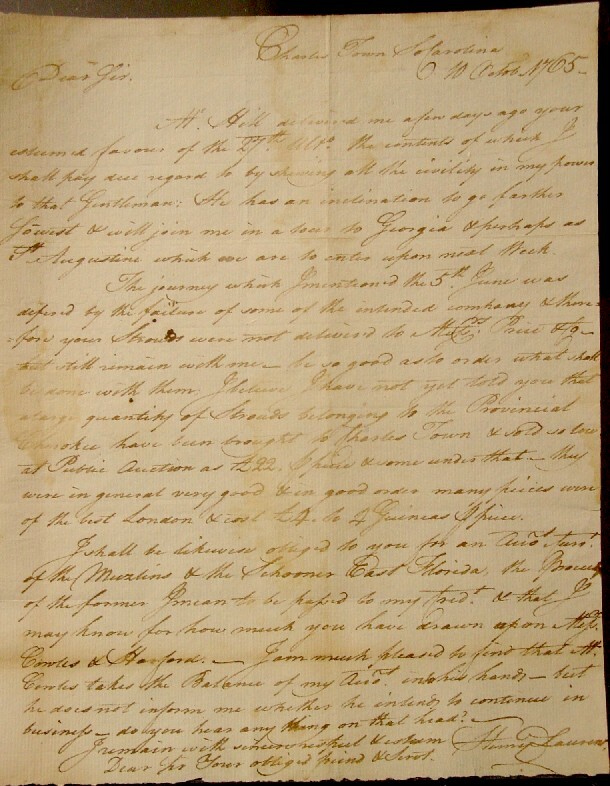 Articles of Convention between Major-General Gates and Lieutenant-General Burgoyne. I. The troops under Lieutenant-General Burgoyne to march out of their camp, with the honours of war and the artillery of the intrenchments, to the verge of the river, where the old fort stood, where the arms and artillery are to be left, the arms to be piled by word of command from their own officers. II. 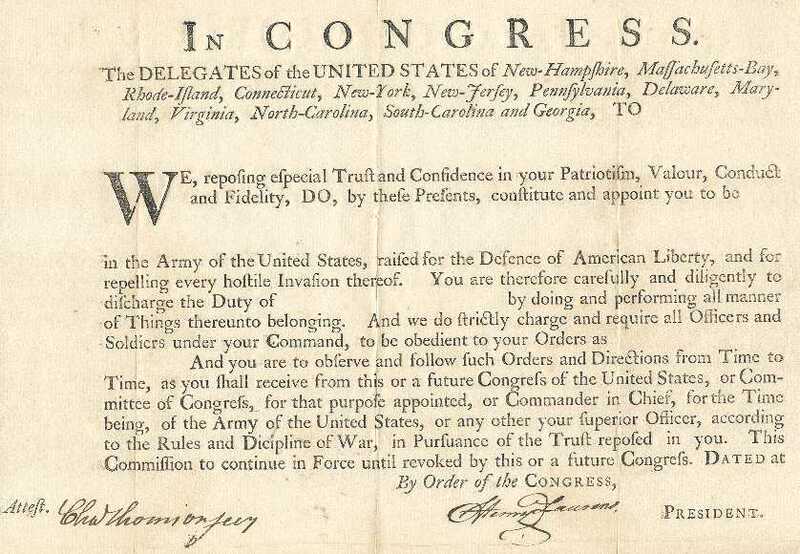 A free passage to be granted to the army under Lieutenant-General Burgoyne to Great Britain, on condition of not serving again in North America during the present contest; and the port of Boston is assigned for the entry of transports to receive the troops whensoever General Howe shall so order. III.Should any cartel take place by which the army under General Burgoyne, or any part of it, may be exchanged, the foregoing article to be void, as far as such exchange be made. IV.The army under Lieutenant-General Burgoyne to march to Massachusetts Bay by the easiest, most expeditious and convenient route, and to be quartered in, near, or as convenient as possible to, Boston, that the march of the troops may not be delayed when transports arrive to receive them. V.The troops to be supplied, on their march and during their being in quarters, with provisions, by General Gates's orders, at the same rate of rations as the troops of his own army; and, if possible, the officers' horses and cattle are to be supplied with forage at the usual rates. VI. All officers to retain their carriages, bathorses, and other cattle, and no baggage to be molested or searched, Lieutenant-General Burgoyne giving his honour that there are no public stores secreted therein. Major-General Gates will, of course, take the necessary measures for the due performance of this article. Should any carriages be wanted, during the march, for the transportation of officers' baggage, they are, if possible, to be supplied by the country at the usual rates. VII. Upon the march, and during the time the army shall remain in quarters in Massachusetts Bay, the officers are not, as far as circumstances admit, to be separated from their men. The officers are to be quartered according to rank, and are not to be hindered from assembling their men for roll-call, and other necessary purposes of regularity. VIII. All corps whatsoever of Lieutenant-General Burgoyne's army, whether composed of sailors, bateaumen, artificers, drivers, independent companies, and followers of the army, of whatever country, shall be included in the fullest sense and the utmost extent of the above articles, and comprehended in every respect as British subjects. IX. All Canadians and persons belonging to the Canadian establishment, consisting of sailors, bateaumen, artificers, drivers, independent companies, and many other followers of the army, who come under no particular description, are to be permitted to return there; they are to be conducted immediately, by the shortest route, to the first British post on Lake George, are to be supplied with provisions in the same manner as the other troops, and are to be bound by the same condition of not serving during the present contest in North America. X. Passports to be immediately granted for three officers, not exceeding the rank of captains, who shall be appointed by Lieutenant-General Burgoyne to carry despatches to Sir William Howe, Sir Guy Carleton, and to Great Britain, by the way of New York; and Major-General Gates engages the public faith that these despatches shall not be opened. These officers are to set out immediately after receiving their despatches, and are to travel the shortest route and in the most expeditious manner. XI. During the stay of the troops in Massachusetts Bay the officers are to be admitted on parole, and are to be allowed to wear their side arms. XII. Should the army under Lieutenant-General Burgoyne find it necessary to send for their clothing and other baggage to Canada, they are permitted to do it in the most convenient manner, and the necessary passports granted for that purpose. XIII. These articles are to be mutually signed and exchanged to-morrow morning at nine o'clock, and the troops under Lieutenant-General Burgoyne are to march out of their intrenchments at three o'clock in the afternoon. Horatio Gates, Major-General. J. Burgoyne, Lieutenant-General.Saratoga, October 16, 1777. To prevent any doubts that might arise from Lieutenant-General Burgoyne's name not being mentioned in the above treaty, Major-General Gates hereby declares that he is understood to be comprehended in it as fully as if his name had been specifically mentioned. Laurens measure was tabled and Hancock vacated the Presidency. Secretary Charles Thomson assumed the chair that same afternoon to continue the debate on the Articles of Confederation. Laurens inclusive philosophy, along with his wealth, unknowingly, made him a leading candidate for the Presidency to replace the John Hancock. Three days later, to Laurens astonishment, the chair nominated him to be the President of the Continental Congress. On November 1st, 1777 the vote was taken and with unanimous approval he became the second President of the United States Continental Congress (Peyton Randolph and Henry Middleton were presidents of the United Colonies Continental Congress). Despite this change in Republics from the United Colonies to the United States Laurens is commonly referred to as the Fourth President of the Continental Congress. Mr. Hancock intends resigning his seat in Congress, and going home; it is imagined he will be appointed Governor of Boston. They meant to have complimented Mr. Morris with the Presidentship, but he told the gentlemen who informed him of it he could not serve, as it would interfere entirely with his private business, and so begged it might be dropped don’t you feel quite important? I assure you I do, and begin to be reconciled to Independence. Dear Sir, The Arms of the United States of America having been blessed in the present Campaign with remarkable Success, Congress have Resolved to recommend that one day, Thursday the 18th December next be Set apart to be observed by all Inhabitants throughout these States for a General thanksgiving to Almighty God. And I have it in command to transmit to you the inclosed extract from the minutes of Congress for that purpose. Resolved, That the thanks of Congress, in their own name, and in behalf of the inhabitants of the thirteen United States, be presented to Major-General Gates, commander-in-chief in the northern department, and to Major-Generals Lincoln and Arnold, and the rest of the officers and troops under his command, for their brave and successful efforts in support of the independence of their country, whereby an army of the enemy, of ten thousand men, has been totally defeated; one large detachment of it, strongly posted and intrenched, having been conquered at Bennington; another repulsed with loss and disgrace from Fort Schuyler; and the main army of six thousand men, under Lieutenant-General Burgoyne, after being beaten in different actions, and driven from a formidable post and strong intrenchments, reduced to the necessity of surrendering themselves upon terms honourable and advantageous to these States, on the 17th day of October last, to Major-General Gates; and that a medal of gold be struck, under the direction of the Board of War, in commemoration of this great event, and in the name of these United States presented by the President to Major-General Gates. - Tuesday, November 4, 1777. 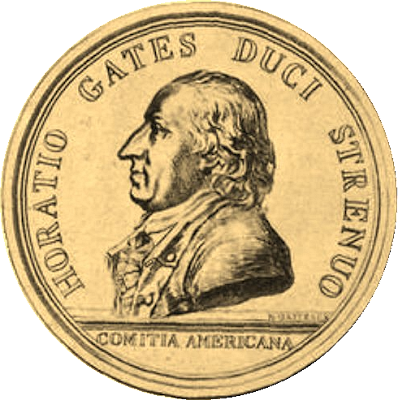 MAJOR-GENERAL HORATIO GATES, Surrender of the British Army at Saratoga Medal, HORATIO GATES DUCI STRENUO COMITIA AMERICANA. (The American Congress to Horatio Gates, a valiant general.) Bust of General Gates, in uniform, facing the left. N. GATTEAUX. SALUS REGIONUM SEPTENTRIONAL. (Salus regionum septentrionalium: The safety of the northern regions.) Lieutenant-General Burgoyne is surrendering his sword to General Gates. In the background, on the left, the vanquished troops of Great Britain are grounding their arms and standards. On the right is the victorious American army, in order of battle, with colors flying. Exergue: HOSTE AD SARATOGAM IN DEDITION. (deditionem) ACCEPTO DIE XVII. OCT. (Octobris) MDCCLXXVII. (The enemy surrendered at Saratoga, on the 17th of October, 1777.) On the platform, GATTEAUX, Fecit. 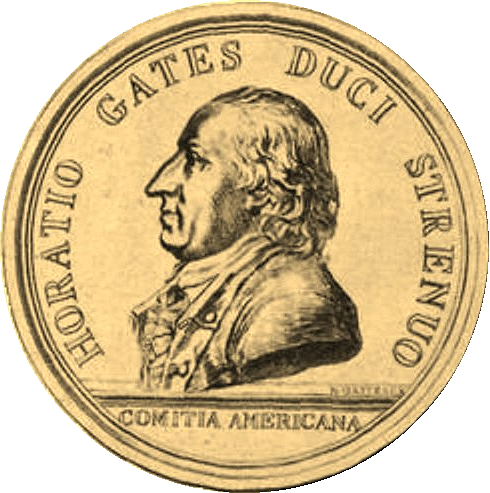 The legend of the obverse of this medal, originally proposed by the French Academy of Inscriptions and Belles-Lettres, was Horatio Gates duci provido comitia americana; and that of the reverse, salus provinciarum septentrionalium. -- Horatio Gates was born in Malden, England, in 1728. He entered the British army when young, and served under General Lord Cornwallis in Nova Scotia, and afterward under General Braddock in his campaign against Fort Duquesne, but, being severely wounded during the retreat, left the army and settled in Virginia. Having received a commission as adjutant-general, with the rank of brigadier, he accompanied Washington to Cambridge in July, 1775. While commander-in-chief of the northern army, he defeated General John Burgoyne at Stillwater, September 17, 1777, and received his surrender at Saratoga on the 17th of October following, for which most important achievement Congress gave him a vote of thanks and a gold medal. He was appointed commander-in-chief of the southern department in June, 1780, but, being defeated shortly afterward at Camden, on the 16th of August, he was superseded by General Greene. During the remainder of the war he played no prominent part, and, at the conclusion of peace, retired to his estate, in Virginia. In 1790 he removed to New York city, where he died, April 10, 1806. -- Nicolas Marie Gatteaux was born in Paris, August 2, 1751, and in the latter part of the reign of Louis XVI. was appointed engraver of medals to the king. During the French Revolution he was intrusted with the execution of various works of art for different branches of the public service. The process followed in the printing of assignats, of bills of exchange, and of lottery tickets, as well as the printing-press which works at the same time with the dry and wet stamp, were his inventions. He designed and engraved a number of medals representing eminent persons, or important events of the period, including three relating to the War of Independence, viz., those of General Gates, General Wayne, and Major John Stewart He died in Paris, June 24, 1832. On November 15th, 1777, without much further debate the Constitution of 1777, the Articles of Confederation, was passed by Congress. The Perpetual Union of the United States of America was now in the womb of nations. Its birth, however, required its ratification by all 13 States and this would not be realized until March 1, 1781 under President Huntington. Henry Laurens would sign the document, not as President of the Continental Congress, but as a delegate from South Carolina when South Carolina formally ratified the Articles of Confederation on July 9, 1778. President Laurens' office and lodging at York Town were not as large, he claimed, as the center hall in his South Carolina home. Laurens noted he often dined on only bread and cheese with a glass of grog. He believed this diet was appropriate as George Washington and the soldiers’ rations were so meager at Valley Forge. Laurens learned the burden of the office included being the conduit of unhappy correspondence between Congress and the have starved Commander-in-Chief. In addition to this, Laurens was responsible for the diplomatic correspondence, chairing the meetings, the granting and refusal of favors to be heard by Congress. Laurens’ request was postponed by Congress, in a very complimentary style, refusing to accept it. He then settled into the presidency for his "year" term as prescribed by the new Constitution of 1777 which was expected to be ratified by the States in 1778. As President, he participated in the finalization of The Franco American Treaties of Alliance and of Amity and Commerce with France which, were signed by him as U.S. President of the Continental Congress on February 6, 1778. President Laurens was an active participant in debate especially, when he was the sole delegate represented by South Carolina. His Presidency drew criticism by his fellow delegates, as he was not hesitant to use his chair to make timely and uncomplimentary remarks about his colleagues. As President, Laurens opposed any expeditions against Florida urging Congress instead to defend Georgia and South Carolina from Native Americans and Tory resistance. 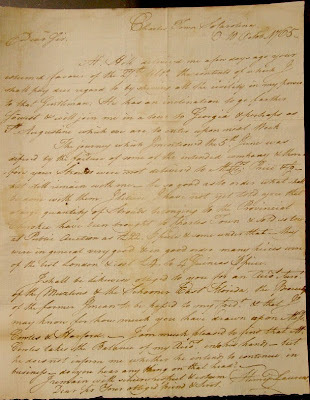 For example, Henry Laurens wrote on April 7, 1778 to James Duane that "… The Letter has not yet been presented to Congress, but has undergone severe strictures from knot of our friends who call here late at night and conned it over." 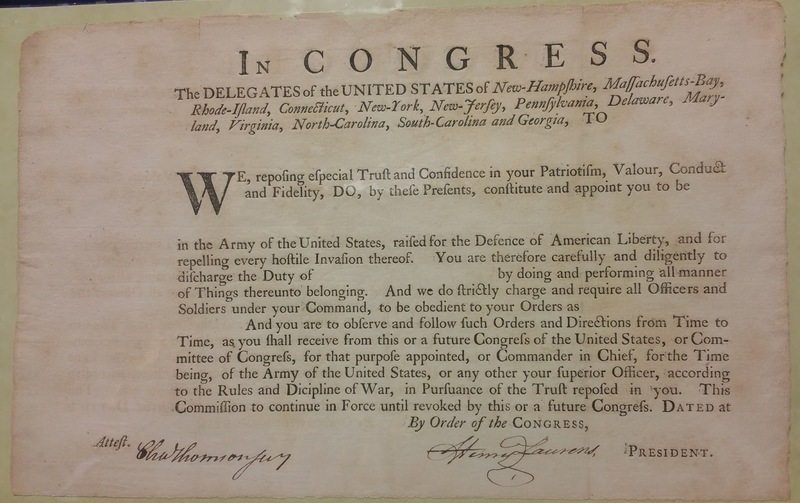 On another matter Laurens writes on April 28, 1778 concerning his reasoning for delay of Louis Fleury’s petition "…these I say are private Sentiments drawn from friends among my Coadjutors in Congress." The fact that the President, for the most part, received all official correspondence gave him the discretion to choose when and if it should be brought before Congress for consideration. Laurens expertly utilized this power throughout his Presidency to accelerate or impede the consideration of all official business of the United States of America. 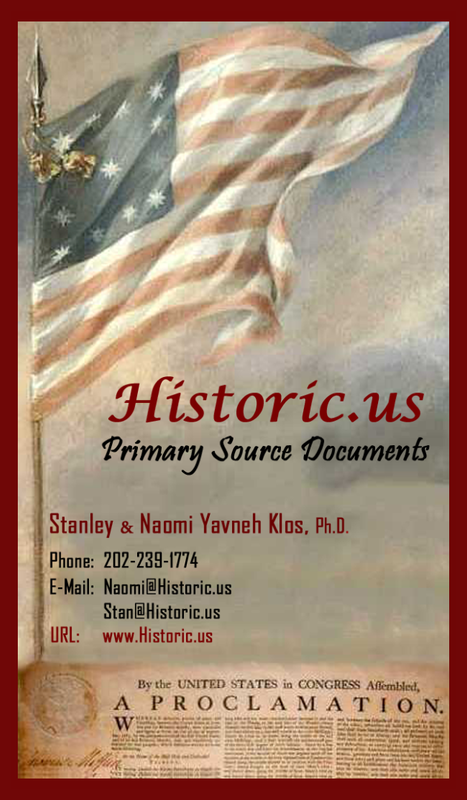 Henry Laurens tenure as President was during one of most stormy periods in the Revolutionary War. He seemed to align himself against John Jay, Robert Morris and Silas Deane (conservatives) but only lukewarm to the Adams-Lees Faction. A major test of his “non-partisan” leadership erupted just nine days into his Presidency. The plan for the displacement of George Washington for Horatio Gates came to light on November 9th. The controversy then exploded occurring during the same period that President Henry Laurens was occupied with the Saratoga Convention, negotiating the surrender settlement of British General Burgoyne and his army. This scheme to replace Washington stemmed from the Adams-Lees Faction, “the revolutionary party", who wanted to keep all executive business in the hands of Congress through committees and boards. They strove for a strict system of control over the Commander-in-Chief. The other bloc is best described as the "constructive party" and its leaders included George Washington, Benjamin Franklin, John Jay, Robert Morris and Robert R. Livingston. 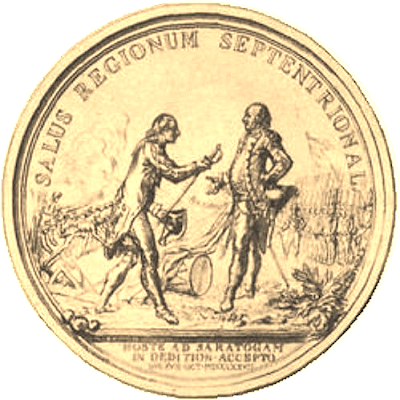 The Adams-Lee Faction was comprised of men who were the "Zealots" of revolution and forced altercation with Great Britain. It was the constructive faction who transformed the fitful rebellion into an organized and successful revolution. President Henry Laurens’ politics, however, was an enigma and thought by each camp to be partial to their respective faction until the Lee-Deane Affair. As the attacks on Washington mounted the plotters made wild charges of his incompetence. It was asserted that cowardice restrained Washington from driving General Howe out of Philadelphia in 1777 even though he had two to three times more forces than the British. 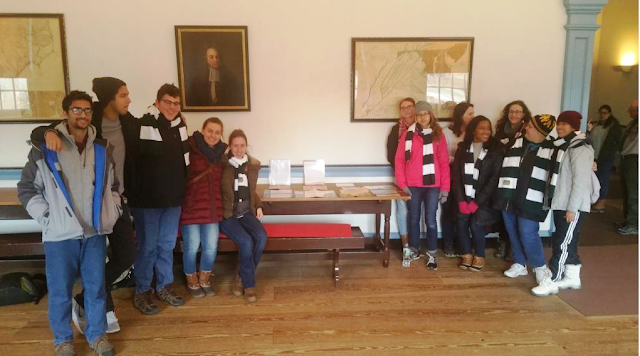 For example, James Lovell the delegate from Massachusetts maintained that Washington marched his army up and down with no other purpose then to wear out their clothing, shoes, and stockings. The facts on this particular case, however, were that General Howe's foraging parties had greater numbers than Washington's entire army encamped in Valley Forge. An attack on Philadelphia would have decimated the Continental Army. The Continental Congress, to make matters more complex for Washington, bestowed upon Gates and his supporters a series of appointments and promotions. Most notably, Generals Gates and Thomas Mifflin were placed upon the Board of War and Thomas Conway was elected against Washington's protest as Inspector General of the Continental Army. In these influential positions the scheme to replace Washington was pressed forward by a series of "interferences, shackles, vexations and slights to resign his command" according to Revolutionary War Historian Wallace. Their incompetence of managing the Board of War, Commissary and Quartermaster departments left wagon loads of clothing and provisions standing in the woods much to the chagrin of Henry Laurens. The sufferings of Washington and his troops at Valley Forge were due to these men's incompetence and their conspiracy to replace the Commander-in-Chief with Horatio Gates. The Valley Forge tragedy was not a product of the new nation’s poverty or the refusal of its citizens to contribute to the War effort. It was a political travesty. Washington never made this letter public. Gates, however, did not heed Mifflin’s advice and wrote Washington a letter ranting about a so called scoundrel who supposedly leaked the Conway letter to the public. To Washington’s bewilderment, Gates copied Congress thus making the letter public. Henry Laurens learned of this through his son, a Washington Aide-to-Camp. John Laurens wrote to his father from headquarters on January 3rd, 1778 giving this assessment in a brief sentence identifying the Cabal’s true “head”. General Conway's letter gave George Washington no other option but to defend himself openly against the conspiracy as it was now in the public eye. Washington wrote to Laurens on January 4th, 1778 that it was “beyond the depth of my comprehension” that Gates would make public the correspondence. Washington wrote a letter to Gates and copied Congress notifying him that it was his own aide, Wilkinson, who had been indiscreet and not anyone in his camp. Laurens was anxious to play the role of "peacemaker" between Gates and Washington walking the middle ground. In the end Laurens neutrality embolden the Cabal but the scheme to replace George Washington with Horatio Gates fell apart in early 1778 when the plan was made public. One after another the delegates and generals hasten to disclaim any connection to the Conway and Gates. The reaction of the people was clear, George Washington was strongly entrenched in the minds and hearts of the common man and they wanted him to remain the Commander-in-Chief. The public's affection towards Washington did not "endanger our libertieis" as Adams predicted but rather gave them new support as the people rallied around the Commander-in Chief. The Cabal was dead; the people had spoken this lesson culminated to finally combining the office of the U.S. Presidency with the power of Commander-in-Chief in the 2nd Constitution of 1787. Despite the challenges, Henry Laurens, remained constructive turning to the business of the Presidency. The "Conway Cabal" was now behind him, the Articles of Confederation before the States for ratification, and the Victory at Saratoga was a military coup so impressive that the French were now ready to sign a series of Commerce and Alliance Treaties with the Continental Congress. President Laurens, an astute merchant, believed that commerce provisions in one of the treaties were seriously flawed. Specifically he objected to the Confederation abandoning, by treaty, its claims over the control of Florida and the Bahamas which were important future sources of federal revenue in trade duties and land sales. Additionally Laurens believed that French interest in these territories was political cautioning his fellow delegates that once the treaties were ratified Spain would be lay claim to Florida. France would remain neutral on Spanish land accession due to a clandestine "side" agreement between the two European Powers. Laurens was heavily ridiculed by his peers and out maneuvered on measures to correct these inadequacies. The Franco-American treaties were executed on February 6, 1778 and despite his doubts, President Laurens expressed a "most hearty congratulations" to Commissioners Silas Deane, Benjamin Franklin and Arthur Lee. Time, however, proved Laurens right as the United States loss the valuable southern port of St. Augustine and large tracts of land which, were both direly needed to fund the fledging government. In the spring of 1778, Laurens letters spoke continuously of the deficiency of State representation in Congress. He found fault in both the bare necessity of delegates to make quorums and the naïveté of new members in Congress. He believed the inexperienced delegates were not capable of dealing with important commercial treaties between America and Denmark, Russia, Spain, Holland and Sweden. He ardently sought more experienced representation from the state legislatures in numerous letters to their leaders. By the summer of 1778 his letters blossomed into the formation of a considerably strengthened Congress. Samuel Adams returned after an absence of six months. Gouvernor Morris and Roger Sherman also returned along with Thomas Heyward. The brilliant young William Henry Drayton, Richard Hutson and John Matthews all took their seats in York. General Mifflin would later be exonerated of these charges and go on to serve as President of the United States, in Congress Assembled. George Washington, however, remained cool to Mifflin throughout the rest of his days never forgetting his role in the Conway Cabal. In an ironic twist a fate when George Washington resigned his office of Commander-in-Chief in 1783 it ended ceremoniously with his commission being returned to the President of the United States, Thomas Mifflin. According to adjournment, the president and a number of members met at the State House in Philadelphia on Thursday the 2d of July,and adjourned from day to day, to the present. The Congress meets in the College Hall, as the State House was left by the enemy in a most filthy and sordid situation, as were many of the public and private buildings in the City. Some of the genteel houses were used for stables and holes cut in the parlor floors and their dung shovelled into the cellars. The country Northward of the City for several miles is one common waste, the houses burnt, the fruit trees and others cut down and carried off, fences carried away gardens and orchards destroyed-Mr Dickenson's and Mr Morris' fine seats all demolished-in short I could hardly find the great roads that used to pass that way. The enemy built a strong abattee with the fruit and other trees from the Delaware to Skuylkill and at about 40 or 50 rods distance along the abattue a quadrangular fort for cannon and a number of redoubts for small arms; the same on the several eminences along the Skuylkill against the City. On that day I left York Town and arrived here the 30th-from various impediments I could not collect a sufficient number of States to form a Congress earlier than the 7th Instant; one was the offensiveness of the air in and around the State House, which the Enemy had made an Hospital and left it in a condition disgraceful to the Character of civility. Particularly they had opened a large square pit near the House, a receptacle for filth, into which they had also cast dead horses and the bodies of Men who by the mercy of death had escaped from their further cruelties. I cannot proceed to a new subject before I add a curse on their savage practices. Congress in consequence of this disappointment have been shuffling from Meeting House to College Hall the last seven days & have not performed half the business which might and ought to have been done, in a more commodious situation. Expressed his pleasure at being able to balk 'his quondam friend' in the newspaper and acceded to the request of the members, but declined to approve a minute of the proceedings saying 'he had no anxiety for obtaining complimentary records.' The Journals thus contain no suggestion of the incident. The Deane-Lee foreign affairs controversy also fell into the lap of President Laurens. Silas Deane was one of the commissioners who negotiated the February Treaty with France. Deane, a pro-French patriot, had also contracted the services of Lafayette, De Kalb, and other foreign officers, personally, to the cause for Independence. These contracts were subsequently made the basis of charges against him by congress on the grounds of extravagance. Congress had received correspondence from Dean’s fellow commissioner Arthur Lee that Silas was a profiteer. Ralph Izard, a friend of President Laurens, wrote to him from France condemning both commissioners Dean and Benjamin Franklin. The letters of Lee and Izard carried considerable weight with the Adams-Lee Faction who was strongly biased against the French. They believed France wanted to control the North Atlantic fisheries (New England) and lands northwest of the Ohio River (Virginia). Silas Deane was staunchly supported by fellow Peace Commissioner Benjamin Franklin, Robert Morris, John Dickinson and Secretary Charles Thomson. Deane was recalled in consequence by resolution passed and signed by Laurens. Reaching Philadelphia in 1778, Deane found that many reports had been circulated to his discredit. These seem to have originated with his late colleague, Arthur Lee, who had quarreled with him in Paris. Henry Laurens received Deane and went over all his affairs in a two-hour private interview. Henry Laurens reported that he believed Dean supporting his account. Who was the first U.S. President? Deane had presented a signed statement from Grand, the commissioners' Paris Banker, of all funds spent. Banker Grand, however refused to part with the original vouchers until the final accounting. President Laurens found this inappropriate as Deane had disbursed 250,000 pounds sterling and had no excuse for coming without accounts and vouchers. Arthur Lee reiterated his charges and Deane's advocates failed to rally his cause squarely before Congress causing Lauren's to side against Silas Deane. A Congressional inquiry into the state of foreign affairs also included a thorough examination of Mr. Deane's role. He was regularly notified to attend the sessions in an attempt to discern the facts of the controversy. On December 4th Deane wrote again to Congress, acquainting them with his having received their notification of another session and expressing his thanks for the ongoing investigation. On the following day, to almost everyone's surprise, Deane published his extraordinary address in the Pennsylvania Packet, which attacked Congress, President Henry Laurens and his accusers. "To The Free and Virtuous Citizens Of America. Friends and Countrymen, THE happiness or misfortunes, the benefits or injuries of an individual, have generally no claim to the public attention. I do not therefore address you on my own account, but on yours. I do not wish to prejudice any man, but to serve my country, I was content, even while sacrificed for the aggrandizement of others; but I will not see an individual, or family, raised upon the ruins of the general weal. What I write to you, I would have said to your Representatives, their ears have been shut against me, by an attention to matters, which my respect for them induces me to believe were of more importance. While it was safe to be silent, my lips were closed. Necessity hath opened them, and necessity must excuse this effort, to serve, by informing you. What I have done, and what I have suffered, from the moment I left my native shore, until I was honoured with one colleague, and saddled with another, is needless now to repeat; I have told it substantially to Congress, and as their servant, I leave it with them. In September, 1776, they appointed the Honourable Benjamin Franklin, Arthur Lee, Esquires and myself, their Commissioners at the Court of Versailles, previous to which, I had the honour to be the Commercial and Political Agent of America in Europe. My venerable friend, Dr. Franklin, arrived at Paris in December, 1776, and Arthur Lee, Esq; a few days after him. This gentleman, by agreement among the Commissioners, went to Spain in the month of February following, to negociate your interests there, and having by a wanton display of his errand, given great and just cause of distrust to the Court of Madrid, he returned in the beginning of April, not having gone further than the city of Burgos. The reasons of that Court for restricting him to this place, with many other matters important for you to know, may perhaps appear in the course of these letters. While he was on that journey, Dr. Franklin received a commission to go thither, but his health, the season, and other circumstances prevented his departure until he was superseded. Many reasons concurred, to convince the Commissioners that Arthur Lee, Esq. could no where be less serviceable than at Paris, and therefore in May, 1777, he set off to make the tour of Germany, in order to arrive at Berlin in safety. At this place, he was so unfortunate as to do nothing, unless indeed we may give the name of business to the loss of his papers, by which a discovery was made of the secrets of his colleagues, and the British ministry enabled to counteract the measure taken for your benefit. In August he returned to Paris, and shortly after received his appointment as Commissioner to the Court of Madrid, with reservation, nevertheless, of his former commission, to that of Versailles. Here I must leave him to take notice of another gentleman of the same family. In February, 1777, I received a notification of the appointment of William Lee, Esq. ; to be one of your Commercial Agents in Europe, of which I gave him notice. As your commercial affairs were, at that time, in such a state as to require much attention and care, I pressed this gentleman, then in England, to come over immediately and execute his office, but heard nothing from him till the month of June, when he arrived in Paris. At this place he continued until about sometime in August, when he went to Nantz. There he was loudly called on to regulate certain affairs, which he prudently declined, left, as he observed, his property in England should be affected. In September or October, he returned to Paris, and there received his appointment of Commissioner to the Courts of Vienna and Berlin. He continued nevertheless inactive at Paris until the month of December, carefully concealing his appointments, which might indeed have militated against his office of Alderman of the city of London which he did then, and probably does still retain. When the news of General Burgoyne defeat and surrender arrived, it produced a revolution in the minds of many, and, among others, inspired your Commercial Agent, and Political Commissioner, the Honorable William Lee, Esq. ; with some degree of activity in your favor. That I may not be under the necessity of mentioning this gentleman again, I add here, that he hath since gone to Vienna, having first appointed sundry commercial Agents for you, at the several ports, and in one instance removed the * person who had faithfully done your business for two per cent, in favour of another, who is to receive five per cent, of which, as well as of the like commission at other places, Mr. Lee receives a share, for superintending at Vienna, the business done on your account a thousand miles off from his place of residence. My respect for the Honourable the Congress, and of consequence for its members, will lead me to treat with all possible tenderness their friends, dependants and connections, and therefore as the Honorable Arthur and William Lee, Esqrs. have two brothers in that Body, I shall make no other observation on the fruitful topic of their manners and deportment, than this, that unfortunately for you, those gentlemen so highly elevated, and so widely entrusted, gave universal disgust to the nation whose assistance we solicited. Having thus introduced you to your great servants, I proceed to make you acquainted with some other personages, which it is of consequence for you to know. I am sorry to say, that the Honorable Arthur Lee, Esq; was suspected, by some of the best friends you had abroad, and those in important characters and stations. This arose from his connection and acquaintance with Lord Shelburne, who had been his patron in England, and to whom it was, from many circumstances, whether well or ill founded, were frequently related and urged to Doctor Franklin and myself, and joined to his undisguised hatred of, and expressions of contempt for, the French nation in general, embarrassed us exceedingly, and was of no small prejudice to your affairs. In the summer of 1777, a correspondence took place between a certain Doctor Berkenhout and the Hon. Arthur Lee, Esq; on political subjects. The Doctor proposed in general terms, an accommodation, and after all obstacles arising from our supposed want of confidence in him, and the like, were removed, the Doctor went so far as to propose a meeting with Mr. Lee; but these dispositions were deranged, by the news of GeneralHowearrival in this city. Mr. Lee shewed to Doctor Franklin and myself a part of this correspondence, and in order to give the greater weight to Doctor Berkenhoutremarks, gave us to understand, that the Doctor was in the confidence of the British Ministry. On December 8th Francis Lightfoot Lee, in another public display of airing the dirty laundry of Congressional business, published this letter in the Pennsylvania Packett. To the candid and impartial PUBLIC. MR. Silas Deane having in his Address, in Mr. Dunlaplast paper, thrown many dishonorable reflections on several persons highly trusted by America, and too far distant to answer for themselves, I think I but justice to those injured characters, to request that you will suspend your judgments, until the matter is fully investigated by those whose immediate business it is, and who are most likely to be possessed of the means to establish the truth, when, no doubt, all the parties will receive their due, whether of reward or punishment, and the public good be secured. In the mean time I hope you will take a view of the several characters, from the commencement of the present contest with Great Britain; the part they have acted; what they have sacrificed; and what were their probable prospects; and then I am sure you will agree with me, that the narrative is void of probability, and ought to be supported with much better evidence than insinuations innuendoes, and bare assertions. AS to the decency of the performance with respect to that Body, to which America must always owe it safety and happiness, I leave it to those whom it may concern. And the real friends to the independency of America will determine on the propriety of such a publication, in the present situation of our affairs. For my own part, I so reverence the Representatives of the People, and have so warm a concern for the public welfare, that I had much rather my nearest connections should suffer a temporary injustice, than offend the one, or in the least injure the other. I too, most sincerely wish you to be on your guard. Trust not professions; hear both sides, and judge from well attested facts”. Henry Laurens took Dean’s criticisms personally. Stepping down from his chair as President he moved that a committee be appointed to report upon Deane's article. In the meantime he requested that congress refuse Deane further audience until hearing of that committee conclusion. Laurens was seeking what Congress now calls censure of Silas Deane. Failing to rouse Congress to the vindication of their honor, I felt for my own and resolve to descend from the chair to the floor, where I could be of the most real service to my country. Gentlemen: Ever jealous for the Dignity of Congress, and prompted by a sense of Duty, I had the honor on Monday of laying before the House informations which I had received from Citizens of respectable characters, that a certain Letter, signed S. Deane, and addressed to the Citizens of America at large, published in the Pennsylvania Packet of Saturday the 5th inst., which I presumed every Member had read, had created anxieties in the minds of the good People of this City, and excited tumults amongst themthat having received such Information, I had carefully perused the Letter, and found it to contain articles highly derogatory to the honor and interests of these United States. That I could not be suspected of having prejudices, or of being engaged in any intrigue or Cabal against Mr. Deane, since, I could declare upon my honor that no Gentleman on the floor knew so much of my sentiments respecting Mr. Deane's public character as I had communicated to that Gentleman himself that seeing Mr. Deane had made his appeal to the People and had intimated a design of giving them a course of Letters, it was evident he did not mean to depart from America so suddenly as he had lately declared to this House. That from these considerations I held it dishonorable to Congress to hear him the following evening, and thereupon I humbly moved the House to appoint a Committee of three, to consider and report specially upon the contents of the letter above mentioned that in the meantime Mr. Deane be informed that Congress will give him further notice when they desire to hear him in the House. This motion was seconded by many voices an amendment was offered by an honorable Gentleman’ that the printed Letter be read,' which being put to question, passed in the negative by a majority of one State. I then renewed my motion, founded upon common fame and my own certain knowledge of facts this was over ruled by calling for the Order of the Day, for which a single voice, you know Gentlemen, is sufficient, and from that time the motion has remained neglected. I feel upon this occasion, not for any disappointment to myself, but for the honor and dignity of this House, the great Representative of an infant Empire, upon whose conduct the Eyes of Europe are fixed. I have, from the moment in which my motion was quashed, seriously and almost constantly reflected on the above recited circumstances, and have again attentively considered Mr. Deane's Address to the People. I see no cause to regret my conduct on Monday, and I am confirmed in my opinion that the Address contains groundless and unwarrantable insinuations and intimations respecting the conduct of this House. Mr. Deane has never offered to this House a narrative in writing of his proceedings in France in his character of Commercial and Political Agent, nor hath he, even to this day produced proper Accounts and Vouchers of his Expenditure of Public Money. In the same letter he informed them 'that he had prepared to leave this City, and had made his arrangements accordingly, which it would not be in his power to dispense with for any time,' and yet on the 5th he published an Address to the free and virtuous Citizens of America, in which he complains that the Ears of their Representatives had been shut against him, and tacitly promises them a course of Letters. He informs the Public that he had been sacrificed for the aggrandizement of others. He charges one of your Commissioners with such improper conduct in his public character as amounts, in my Ideas, to high Crimes. He avers that the same Commissioner had been suspected by their best friends abroad, and those in important Characters and stations, although he had given Congress no such information in writing, which he ought to have done, even long before he commenced his Voyage from France. He insinuated that the same Commissioner had been improperly forced upon him. He sets up a charge against another of your Commissioners for a species of peculation and other malversation of conduct, which, if true, it was his duty long ago to have exhibited to Congress. He arraigns the justice and the wisdom of Congress. He charges and questions the conduct of an honorable Member of this House, out of the House, and holds him up to the Public in a criminal light, which ought not to have been done before he had lodged a complaint in Congress, and had failed of their attention. His publication is a sacrifice of the Peace and good Order of these States to personal resentment: and so far as it regards Congress, it is groundless and unwarrantable; wherefore, be the remainder false or true, it is, in my humble opinion, a pernicious and unprovoked Libel, affrontive to the Majesty of the People. I am neither a Volunteer advocate for the private Characters stricturized in Mr. Deane's paper, nor an Enemy to Mr. Deane. In a word, I view the performance in question as an Act unbecoming the character of a Public servant altogether unnecessary, and tending to excite fears and jealousies in the minds of those free and virtuous Citizens of America, to whom Mr. Deane has addressed himself, and also to draw the conduct of Congress into suspicion and contempt and I still hold my opinion that it was the duty of this House to take the Address into consideration before they admitted the Author to a further hearing. Nevertheless Congress were pleased to adhere to a Resolve passed on Saturday subsequently to the open appearance of that unnecessary and insulting publication, for hearing him in writing, contrary to a Resolution of the fifteenth day of August last, which was obtained at that time after much debate by the reasonings and Votes of Gentlemen who had interested themselves strongly in his favor, and from motives assigned which cannot be effaced from the remembrance of those Gentlemen who were then present and time is now given to Mr. Deane for preparing a detail of his transactions, which, if I understand anything of Public business ought to have been completed and ready for presentation before he landed on the American Shore. I feel my own honor, and much more forcibly the honor of the Public deeply wounded by Mr. Deane's address,* and I am persuaded that it will hold out such encouragement to our Enemies to continue their persecution, as will, in its consequences, be more detrimental to our Cause than the loss of a Battle. Mr. Deane has not contented himself with the scope of Dunlap's Newspaper, he has caused his address to be printed in a thousand Hand Bills these will afford a sufficient number for penetrating the remotest part of our Union, and enough for the service of our Enemies. I know that what I am about to do will give a transient pleasure to our Enemies, knowledge derived from a circumstance which induced me to continue in this Chair after the 31st day of October last, more strongly induced me than that unanimous request of this House, which I was then honored with. There are Gentlemen upon this floor who are well acquainted with the circumstance alluded tout Gentlemen, their satisfaction will indeed be transitory, for I here again solemnly declare, and they will soon learn it, that I am determined to continue a faithful and diligent laborer in the Cause of my Country, and at the hazard of Life, fortune and domestic happiness, to contribute, by every means in my power to the perfect establishment of our Independence. … tell my friends they will find, that my resignation on the 9th of December was, as I then said to them, the greatest act of my life. Deane was eventually compelled to return to Europe to procure the requisite papers to prove his innocence. There he found that the publication of certain of his private dispatches had embittered the French government against him not allowing him access to the necessary evidence. Deane, without proof, decided to retire to Holland. After the war he took up residence in England. Deane died in great poverty, estranged from his native land and feeling that he had been unjustly dealt with by the Continental Congress. In 1842 Congress vindicated his memory by deciding that a considerable sum of money was due him, and directed its payment to his heirs.